The Pac-12: The Conference of Champions. 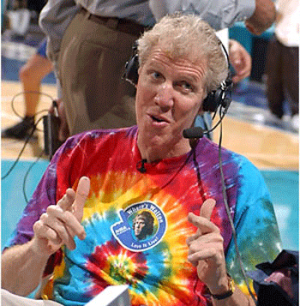 Conference ambassador Bill Walton inserts it into every basketball telecast he ever does – and for good reason. The Pac-12 is the conference of champions in all of athletics, and it’s not even close. On May 28, the conference won its 500th championship, followed by the B1G with 307, then the SEC with 220. It’s an amazing feat and something the conference, its schools, employees, students and alumni should be proud of. Yes, football: the grandest sport of them all and the signature sport in all of college athletics. No disrespect to the other sports, but with football’s out-of-this-world popularity, money, and quasi-religious status, it’s unquestionably the king. Something tells me that people in the SEC — the leader in football championships — aren’t losing sleep at night because they aren’t winning more crowns in water polo and lacrosse. The SEC has the most titles in the most important sport. But for Pac-12 fans whose favorite sport is football (like me), the overall championship record is outstanding, but — like a tennis champion who hasn’t won Wimbledon — it is a hollow one. And sadly, he or she’d be right. The Pac-12 needs to win more football (and basketball) championships, like yesterday. Doing research on college football champions is an extremely frustrating experience. It’s not like basketball where there is one indisputable list that is the same no matter where you find it on the web. If you go to ten different websites to find the champions of college football, you’ll probably get ten different lists. And all of them could, arguably, be correct. In many years, as we all know, separate polls voted for different teams as champions, which created disputes as to who the real champion was. In fact, eleven times — in 1954, 1957, 1965, 1970, 1973, 1974, 1978, 1990, 1991, 1997 and 2003 — the Coaches Poll has crowned a different national champion than the AP Poll. Thank goodness for the new College Football Playoff, if only a 100 years too late. BCS (since 1998): SEC 9, ACC 4, B1G 2, Big 12 2, Pac-12 2. So Who in the Name of the Pac-12 Can Win It All? USC: The lone conference blue blood and the last one to win it all. USC has the recruiting advantage, prestige and is the first program that comes to mind when talking Pac-12 football. With the best quarterback in the country, and riding momentum from last year, the Trojans are a legitimate 2017 contender. Stanford: David Shaw has continued the success instilled by Jim Harbaugh in 2007, and plays the kind of smashmouth style, that can win it all come playoff time. Washington: The stars were all aligned for the Huskies last year, and as long as they have Chris Petersen, an elite coach, Washington should be a continual threat. 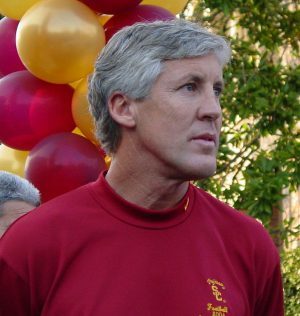 UCLA: They get thrown in only because they sit in fertile recruiting ground and have talent. Now if they could only get over their underachieving selves, they could do some damage. And What Are the Ducks Doing About It? Mark Helfrich was not going to win a national championship at Oregon. Period. So the powers that be did the right thing by firing him. Chip Kelly almost won the natty twice (2014’s runner-up was his baby) because of his innovative, high-speed offense. But that’s not cutting edge anymore: almost everyone does it nowadays and defenses have caught up. So bringing Chip Kelly back was not the solution to the problem. Sure he’d bring a better chance than Helfrich, but not as good of a chance as Taggart. The greatest obstacle to the Ducks winning the national championship in 2010 and 2014 was in the trenches. In 2010, the Ducks offensive line couldn’t stop the Auburn D-line, namely Nick Fairley, and in 2014 the Ducks defensive front seven was brutally exposed by Ohio State. So what does Taggart bring? For starters, he brings recruiting. Something that Helfrich was poor at, and Kelly only saw as a necessary evil, is something that Taggart relishes. And as we all know, to win in the world of big time college football, recruiting is priority No. 1. His pipeline to Florida is critical, and just look at the defensive beef coming in this year. Freshmen Jordan Scott and Rutger Reitmaier will develop into outstanding players, and transfer Scott Pagano from Clemson should have an immediate impact. Taggart brings defense. The harsh reality is that it couldn’t possibly get any worse. But bring in an A-plus staff led by Jim Leavitt, and the Ducks will instantly improve by a large margin. He also brings, presumably, intelligent coaching. He’s a descendant of the Harbaugh family tree and has a proven track record as a program rebuilder. 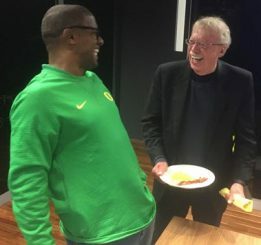 Taggart brings an uptempo offense but, unlike Kelly and Helfrich who at times let the high-speed offense work against them, Taggart knows when to let his foot off the gas (see Coach Fiegenbaum’s excellent article here). And presumably he’ll never go for the two-point conversion five times in a game (Oh, touche!). 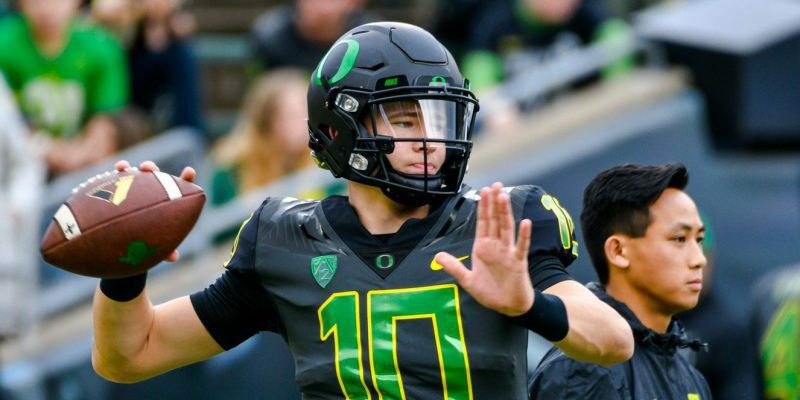 The Ducks won’t be a contender for a couple years, but in year three of the Taggart administration, the Pac-12 might just bring home a long-awaited football crown. And it just might be the Ducks.